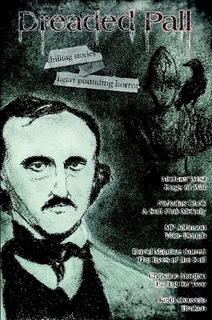 One of the best projects that I’ve had the honor of coordinating was a round robin called The Transformation of Martin Greystone featuring William D. Carl, Eliza Rose, Paul Dracon, Tara Sayers, David Niall Wilson, Julia French, R. Thomas Riley, Jerrod Balzer, M.J. Euringer, and yours truly. This story was a dedication to the memory of Bruce “Boo” Smith. Another project that I helped put together was a collection of stories entitled Dreaded Pall featuring Michael West, Nickolas Cook, M.P. Johnson, Christine Morgan, Keith Gouveia, and yours truly. I had a story appear in it, but I also acted as editor for the book.